The late Sam Mockbee established the Rural Studio in 1993 along with fellow architect D. K. Ruth. Sam passed away in 2001 but the spirit of the Rural Studio lives on to this day. Snakebit is a documentary on Sam Mockbee and his Rural Studio. The Rural Studio gained recognition for recycling materials into homes for the local population. 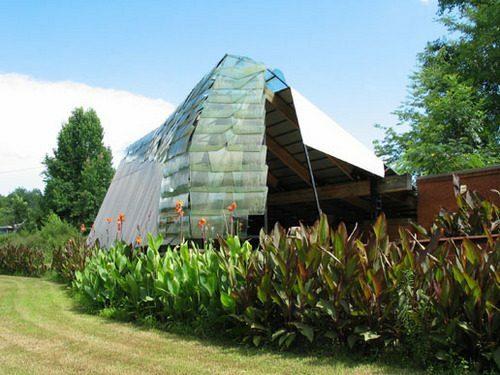 One of the more famous examples is the Rural Studio community center which used old car windshields for the fenestration and façade.